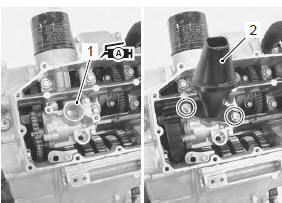 the oil pan/oil strainer/oil pressure regulator cannot be serviced with the engine installed in the frame. 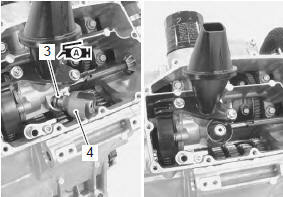 Remove the engine assembly from the frame. 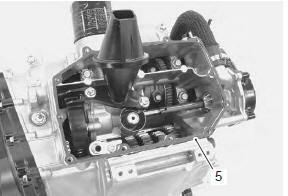 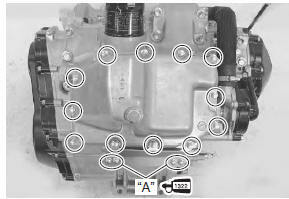 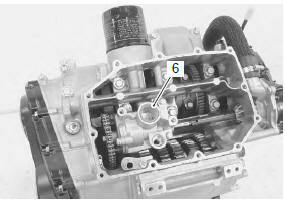 Refer to “engine assembly removal” in section 1d . 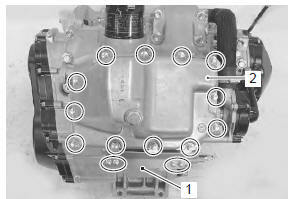 Remove the oil pan (2). 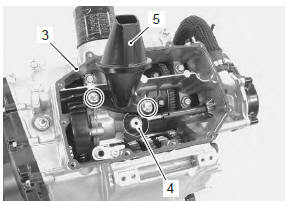 Remove the oil pressure regulator (4) and oil strainer (5).